Imagine a world where urbanisation is uncontrolled, where technology indulges human whims, where global warming has raised sea levels, and where the embodiment of a rural idyll is a former country house operating as a theme park. 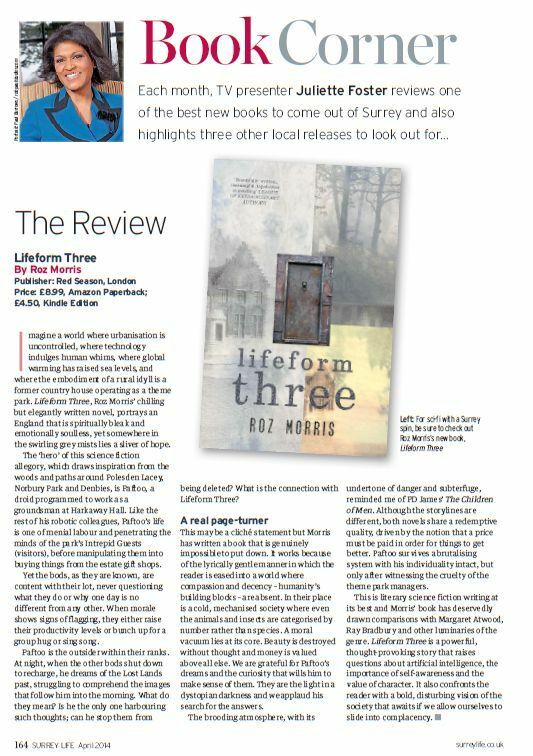 Lifeform Three, Roz Morris’ chilling but elegantly written novel, portrays an England that is spiritually bleak and emotionally soulless, yet somewhere in the swirling grey mists lies a sliver of hope. The ‘hero’ of this science fiction allegory, which draws inspiration from the woods and paths around Polesden Lacey, Norbury Park and Denbies, is Paftoo, a droid programmed to work as a groundsman at Harkaway Hall. Like the rest of his robotic colleagues, Paftoo’s life is one of menial labour and penetrating the minds of the park’s Intrepid Guests (visitors), before manipulating them into buying things from the estate gift shops. Yet the bods, as they are known, are content with their lot, never questioning what they do or why one day is no different from any other. When morale shows signs of flagging, they either raise their productivity levels or bunch up for a group hug or sing song. Paftoo is the outsider within their ranks. At night, when the other bods shut down to recharge, he dreams of the Lost Lands past, struggling to comprehend the images that follow him into the morning. What do they mean? Is he the only one harbouring such thoughts; can he stop them from being deleted? What is the connection with Lifeform Three? This may be a cliché statement but Morris has written a book that is genuinely impossible to put down. It works because of the lyrically gentle manner in which the reader is eased into a world where compassion and decency – humanity’s building blocks – are absent. In their place is a cold, mechanised society where even the animals and insects are categorised by number rather than species. A moral vacuum lies at its core. Beauty is destroyed without thought and money is valued above all else. We are grateful for Paftoo’s dreams and the curiosity that wills him to make sense of them. They are the light in a dystopian darkness and we applaud his search for the answers. The brooding atmosphere, with its undertone of danger and subterfuge, reminded me of PD James’ The Children of Men. Although the storylines are different, both novels share a redemptive quality, driven by the notion that a price must be paid in order for things to get better. Paftoo survives a brutalising system with his individuality intact, but only after witnessing the cruelty of the theme park managers. This is literary science fiction writing at its best and Morris’ book has deservedly drawn comparisons with Margaret Atwood, Ray Bradbury and other luminaries of the genre. 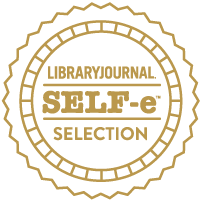 Lifeform Three is a powerful, thought-provoking story that raises questions about artificial intelligence, the importance of self-awareness and the value of character. It also confronts the reader with a bold, disturbing vision of the society that awaits if we allow ourselves to slide into complacency.